various posts of Group A, Group B, Group C on Direct Recruitment Basis. Eligible and well qualified job researchers must apply online soon for Registrar, Institute Engineer, Assistant Librarian, Sports Officer, Security Officer, Medical Officer and others. Participants who are capable and awaited for this opportunity of offered positions they need to visit the official website of this institute to submit online application form. Dear awaited and sensible applicants prepare well to pass written exam for the selection. Before apply you are advised to check skills then proceed further. 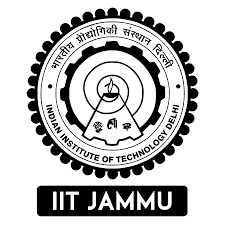 Remaining guidelines connected with applying method of IIT Jammu Recruitment is shown below for the visitors of this portal to help them. All job grabbers should submit duly checked online applications latest by last dae with all necessary documents scanned copies. Other reputed jobs in Jammu will be released in notices on the official website of department that is apply.iitjammu.ac.in. Now you can also get other new public sector jobs from this portal time to time if visit it. All the best now to capable appliers! Educational Record with Experience: Applicants must have Degree Diploma in Rerlated Discipline. Application Fee: Rs. 200/- for Group 'A' and Rs. 100/-for Group 'B' & 'C' has to be paid through ICICI I-Collect against the Advertisement. Once the fee is submitted through ICICI I-Collect the candidates are requested to enter the I-Collect reference number, payment date and amount in the IIT Jammu recruitment portal. No fee is required for SC/ST & PwD category. Recruitment Process: Candidates will be selected on the basis of Written Test and Trade Test/ Computer Test. Candidates shall have to produce original documents at the time of appearing in Interview. In this step enter on “Apply Online” link after read details. Don’t miss to get print out of submitted form and send it to below address. The envelope, containing complete application, should be super-scribed as "Application for the post of ______".